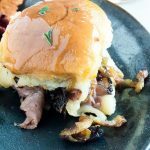 Caramelized tangy onions and melty cheese top these easy to make Roast Beef Sliders for any game day party that will have everyone coming back for more! 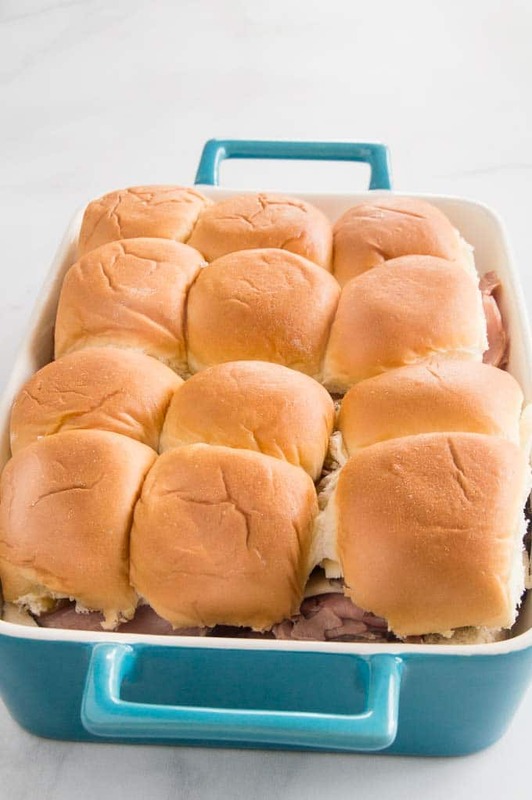 Nothing beats a bite sized snack for Super Bowl Party Food like these Roast Beef sliders! They use Kings Hawaiian Rolls and you add all sorts of delicious flavors to create a bite sized snack for any game day party. They work great for Party Sandwiches, a snack at work, or after school too. 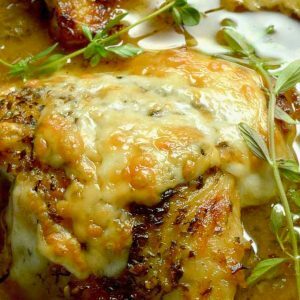 You can make them ahead and serve them at room temperature (although honestly I prefer them warm just out of the oven so the cheese is really melty and the juices of the buttery sauce is still slathering everywhere! 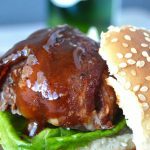 How to make these Roast Beef Sliders? Slowly cook the onions in a little butter so they brown slowly and don’t burn, yet still have lots of juices to give to the slider. You’ll then layer everything on top of that one at a time, Roast Beef, Cheese, then the onions. You can do it a couple of times if you want a really packed full Roast Beef Slider. Then you will bake them covered for 15-20 minutes and then remove the foil and bake for an additional 5 minutes. See how they are all baked as one before serving. You dont cut up the party sandwiches until you’ve baked them. It saves you loads of time since you are making in bulk versus one at a time! 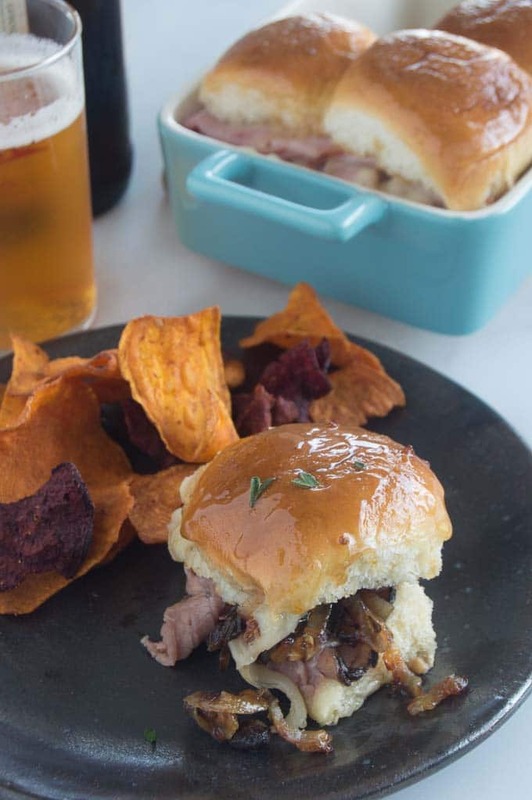 These Roast Beef Sliders come together so quickly you wont be using them just for Super Bowl Entertaining, you’ll be making them for snacks for after work or as a quick appetizer for when people drop by! 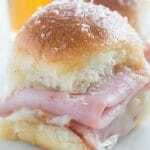 If you like sliders I have a couple other recipes you may want to try! 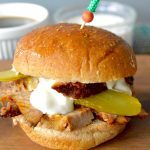 These BBQ Bacon Meatball Sliders, Ham & Swiss Sliders, Pulled Pork Sliders and these Spicy Beef Brisket Sliders are some of the most popular recipes on my website! 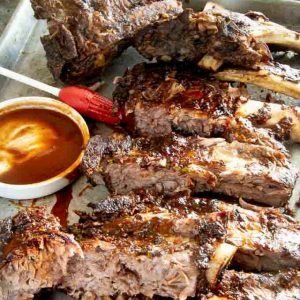 Craving more recipes for entertaining sign up for my mailing list here at the bottom of the page where you see “Join the West Via Midwest Community” or PIN THIS TO YOUR Game Day Food or Appetizer boards for when you are looking for recipe ideas! You can also Follow me on Pinterest to get more ideas to have for making easy delicious meals and appetizers for any entertaining! 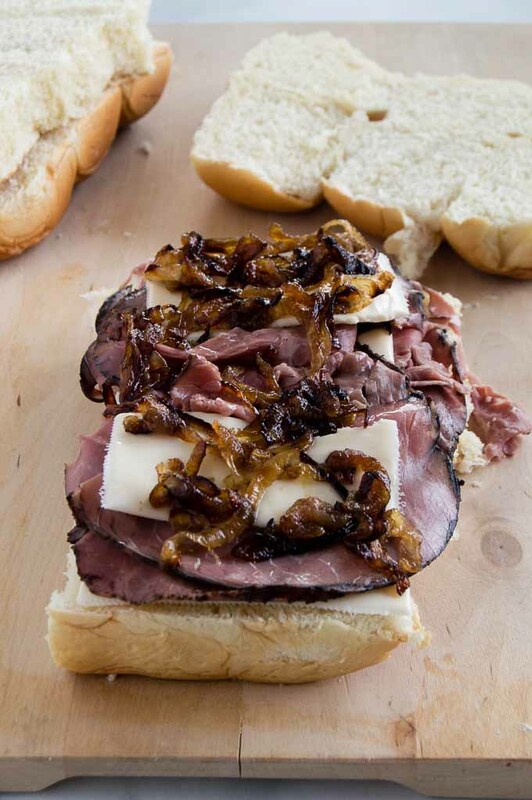 Caramelized tangy onions and melty cheese top these easy to make Roast Beef Sliders for any game day party that will have everyone coming back for more! Nothing beats a bite sized snack for Super Bowl Party Food like these Roast Beef sliders! In a skillet heated to medium, melt the 2 tablespoons butter. Then add the onions and cook on low for about 10 minutes until golden brown and caramelized. Remove from heat to assemble sandwiches. Cut the entire 24 roll package of rolls in half so that the bun top is on one side and the bottoms on the other. Onto the bottom half, layer the roast beef, then cheese, then spoon caramelized onions evenly over the top of that. You may want to use a spoon in case the onions are too warm to handle. If you are making the sandwiches ahead of time, make until this step and place in fridge until you are ready to bake. Remove from fridge at the time you preheat your oven and make the butter mixture as stated below. In a microwave safe bowl, melt the butter for 30 seconds at a time until completely melted. Then add rum, sugar, Worcestershire and mustard and stir well. 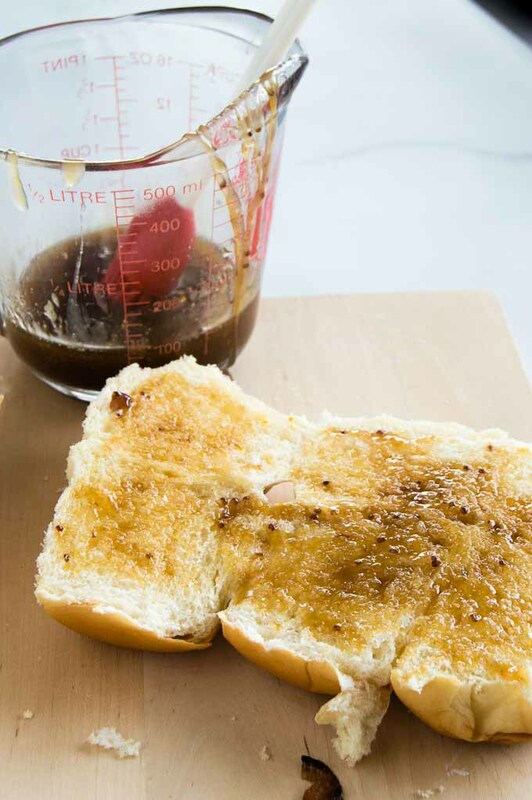 You will stir until the sugar is completely dissolved into the butter. Spread about half of the butter mixture on the inside of the bun tops. Place bun top over the bottom section and place into a baking dish. Brush the remaining butter mixture over the top and sides of the sliders in the baking dish. Bake for 15 minutes covered until cheese is completely melted. Uncover and bake for 5 minutes more. Cut sliders into 24 pieces using the individual rolls as guidelines and serve immediately. 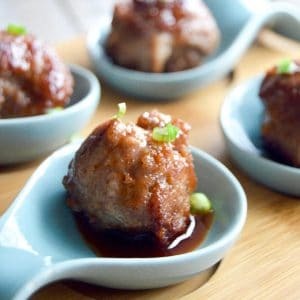 « 10 Amazing Game Day Appetizers! Oh my word! These are getting made at our first watch party!! LOVE!!! These are absolutely PERFECT for game day — or ANY day for that matter!! I will be trying these for sure! I love making sliders! These look so delicious! 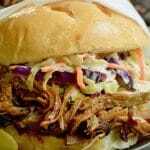 I’m about to drool all over my phone screen from looking at these yummy sandwiches! Can’t think of a better meal for game day! Oh these look amazing! I love how easy they are AND all your suggestions for sliders, so many delicious bites! Bring on the Super Bowl, I’m ready now!!! 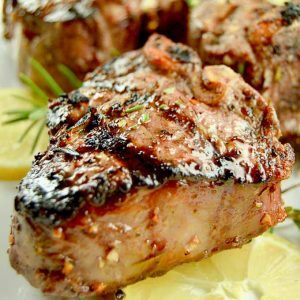 I am drooling over this recipe and your photos! 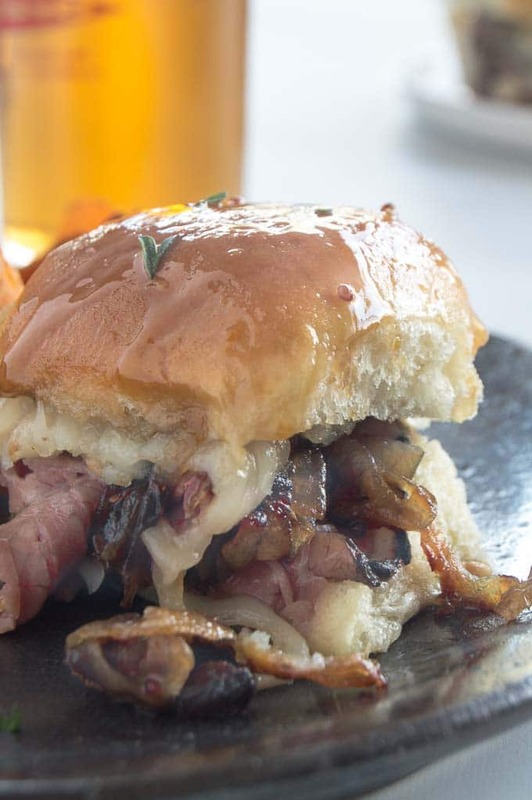 Wow this slider is perfection from those onions, to the roast beef to the melty cheese! Yes please! These sliders look delicious! I love that you use deli meat making this a simple dish to prepare. 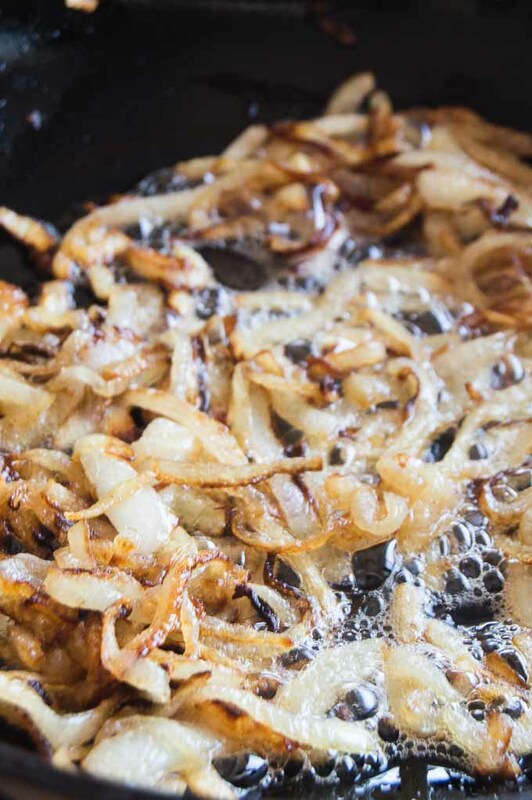 Caramelized onions are soooo good, so there is no way I would skip that step. Looking forward to making these. The caramelized onions make this slider…. I keep doubling the amount of onions because they are so tasty! Oh heavens, Michele, this is one flavor bomb going on here. Forget about sharing! These are dinner! Beef and caramelized onions are a match made in heaven! These look so delicious! Nothing like caramelized onions and melty cheese. And that sauce is just phenomenal So much flavor!! These are really good! You’ve got to give them a try!